Kobane. August, 2015. 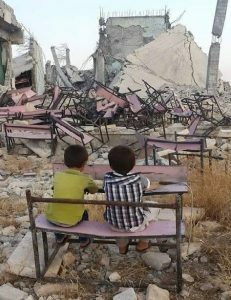 In the face of devastating war and violence, Rojava youth seek a new path of understanding. In the last year, the small Syrian city of Kobane and its gender-liberated, stateless revolution has captured the attention of Leftists across the world. The following interview was conducted with Sherhad Naaima, a young revolutionary from Kobane and a student of Ocalan’s thinking. It offers a brief account of his experiences as well as some reflections on the Rojava Revolution, social ecology, and Turkey’s recent betrayal of the Kurdish Movement. What was it like growing up in West Kurdistan? What does your family do? I was born in 1991 to a Kurdish family in a village outside of Kobane. Kobane is a part of the Aleppo Governorate in Syria. 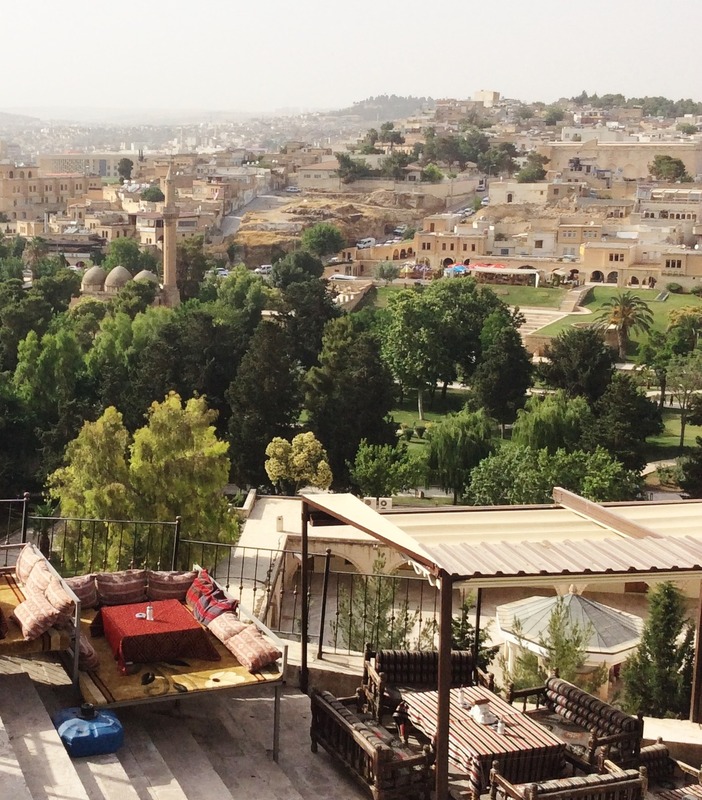 My father is a worker, but he could not find a job in Kobane, so my family traveled to Damascus. There I studied English literature at Damascus University and my eldest brother became a journalist. But once the war and violence sparked, we left our studies and returned to our village. In Kobane, the PYD have been trying to establish self-managed communities through directly-democratic assemblies. Can you describe this? In 2011, the people revolted against the [Assad] dictatorship and demanded freedom. Kurds also took part in the revolution, however the opposition proposed solutions to resolve the crisis that marginalized and denied any possible solution for the Kurds. So the PYD took a ‘third stance’ in the revolution, which means we neither support the Syrian regime nor the opposition because they have the same mentality in denying Kurdish rights. By 2012 the Kurdish people pushed out Syrian security forces from Kurdish areas. In order to fill the vacuum from their withdrawal, the PYD proposed a self-administration model. This is now the model that operates all over Western Kurdistan, in the three cantons of Cizire, Kobane and Afrin. This type of administration can be called non-state political administration, because it does not govern, it administers. Decision-making power goes from down (people), to up. All people can express themselves and make decisions in the local assemblies and it is open to all political parties and all ethnicities. Ecology and feminism are also important pillars. Have you participated in the assemblies? How widespread are they? First of all, people built local assemblies in all fields — such as economic, educational, cultural, social, security, and public services. These assemblies were established by direct elections and face to face democracy as politics became a part of everybody’s lives. I participated in the assemblies translating articles and reports from English to Arabic when I was in Kobane. It’s also important to note that societies without any mechanism of self-defense lose their identities, their capacity for democratic decision-making, and their political nature. Therefore, in order to protect these assemblies, the People’s Protection Units (YPG) were founded. This peoples’ army functions like a rose which protects itself with thorns; it is composed of local men and women and is under control of the democratic assemblies. The difference between this and an army is that it is composed not by one party, but by all members of society. Because if only one party controls the army, it is like putting a liver in front of a hungry cat. How did you learn about social ecology? In 1999 when Ocalan was abducted in Kenya, it was turning point in my life. At first, it was a very depressing experience. Due to this experience I become interested in politics and aware of the Kurdish question. After Ocalan was abducted and held in solitary confinement on Imrali Island, he started spending much of his time reading political and philosophical books in order to find a peaceful solution to the Kurdish question. There in prison he was influenced by great thinkers and philosophers such as Murray Bookchin, Immanuel Wallerstein, V. Gordon Childe, Fernand Braudel, Friedrich Nietzsche, Michel Foucault, and the Frankfurt School. When I read Ocalan’s books that were written in prison, I became familiar with the ideas of these thinkers that had influenced Ocalan — especially Bookchin because he offered the solution and alternative that Ocalan was seeking. In this way, Bookchin’s ideas are gaining popularity in the Middle East via the PPK in Turkey and PYD in Syria. However he is not very famous as an individual because his books are not translated into Arabic. What do you see as the main contribution of social ecology to the movement? 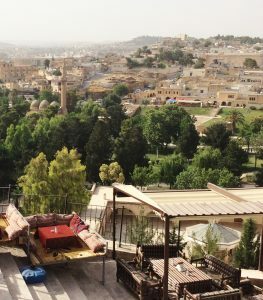 The city of Urfa, northeast of Kobane on the Turkish side of the border. Over the past two centuries, nationalism and the tendency for nation-states has been fueled in the societies of the Middle East. This form of state, which aims at the monopolization of all social processes, was imposed on the Middle East by capitalist modernity. Since the nation-state aims to create single national identity, a single cultural identity, and a single unified religion, diversity and plurality have to be destroyed. This approach has led to the assimilation and genocide of all kinds of spiritual, intellectual, and cultural traditions. Yet such a form of state can never solve the questions and issues in the Middle East, because the Middle East is multi-ethnic, multi-cultural, and multi-religious. In the past, the Kurdish Movement was seeking a separate Kurdish nation-state, however, after reading Bookchin’s ideas this ideology has changed. Kurds have become aware that the nation-state does not make sense, for they do not want to replace old chains by new ones and even possibly increase repression. Social ecology advances Communalism [the political aspect of Bookchin’s philosophy] as an alternative to the nation-state. Now, Kurds in Western Kurdistan are putting Communalism into practice. The more Communalism gets stronger, the more nation-state will shrink, and unless the Middle East overcomes the nation-state, it can never be a peaceful region. Why is Turkey now “betraying” its agreement with the Kurds? To understand why Turkey, with the help of the USA and NATO, is targeting the Kurdish Freedom Movement now, we need go back to the history of the Turkish state. In the 1960s and 1970s, when the Left got strong and spread widely in Turkey, the USA and NATO established and backed a new model in Turkey, which Ocalan called “Green Turkishness.” Green Turkishness is a marriage between Turkish nationalism and authoritarian Islam. Later on they had a monster son called the AKP (The Justice and Development Party of Turkish President Erdogan). Its main aim was to fight and crush the left in Turkey and the Middle East. So now Turkey is not only targeting the Kurdish opposition, but also targeting the Left, especially the Left with a coherent theory that can be a democratic alternative in the Middle East. The international Left needs to be aware of this fact. How do internal differences among the Kurds play out in the West? Barzani in Iraq and the PYD in Syria have widespread support from the US and their international allies, whereas the PKK in Turkey is villainized for seeking basically the same kind of autonomy. Internal differences within the Kurds can be understood in two parts. One part – the PKK and the PYD – are working against capitalism and to trying to achieve a democratic model by dismantling the statehood mentality. This new model is fueled by the heritage of free thinkers and philosophies throughout history. And the other part, represented by Barzani, is accepting of the state and asking for the answer within the boundaries of capitalism. So the difference is ideological. However, it is also worth mentioning that the PKK and the PYD still have authoritarian threads, which must be overcome by the careful reading of Ocalan’s work and other anarchist thinkers. Why doesn’t the Left in the West offer more support to the Kurdish struggle? I think that the Left works and acts within the boundaries of capitalist epistemology (scientism, orientalism, reductionism, eurocentrism, positivism, etc.). This epistemology is based on the subject-object distinction and is reflected in various dichotomies such as body-spirit, black-white, west-east, north-south, etc. Under such distinctions, hierarchy and exploitation over nature and society gain more power than pervious ages in history. So the Left approaches the Kurdish question with a capitalist epistemology, and because of this they lack a deep understanding of the Kurdish question. Another result is that the Left is often fragmented, un-systematized, and cannot set a coherent and rational theory which can unify the struggle and be an alternative to the capitalist world system. It is very sad to say that the Left are Left in the heart, but capitalist in the mind because they are loaded with capitalist conceptions. Yes. Were not many American and European Leftists surprised by the Kurdish women fighters? This is because in their minds the Middle East is still “backwards”, and this duality between East and West is the root of orientalism. To overcome it, we must view society as an organic development. History is a river, it cannot be cut. We have no West or East, but rather one history which is moving and retaining all human culture. To break with capitalist epistemology, the Left needs to dive deeper into hidden history and revive their own traditions of freedom and the idea of a utopia of freedom. They then must build a holistic theory provided by the unity of natural sciences and social sciences. That new theory can be called ‘the epistemology of freedom’ which can serve as a counter-knowledge to capitalist epistemology. Eleanor Finley is an ethnographic researcher working in anthropology and political ecology. She is currently a graduate student at the University of Massachusetts, Amherst and a board member of the Institute for Social Ecology. I enjoyed every word. Kurdistan is literally the most hopeful and exciting project that I’m aware of. All the very best. I hope to run this interview on my website, with full attribution and a link back to this page. I trust that is OK.